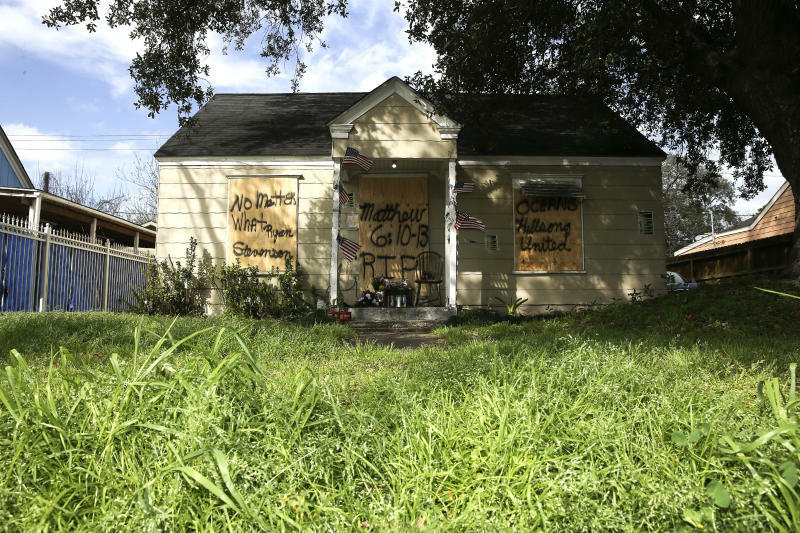 HOUSTON (AP) — A lead investigator lied in an affidavit justifying a drug raid on a Houston home in which two residents were killed and four undercover officers were shot and wounded during a gun battle, the city's police chief said Friday. In the search warrant that was used to justify entering the home, officers with the Houston Police Department's narcotics unit had alleged that a confidential informant had bought heroin at the house the day before the Jan. 28 raid. The informant had also allegedly seen a handgun in the home. 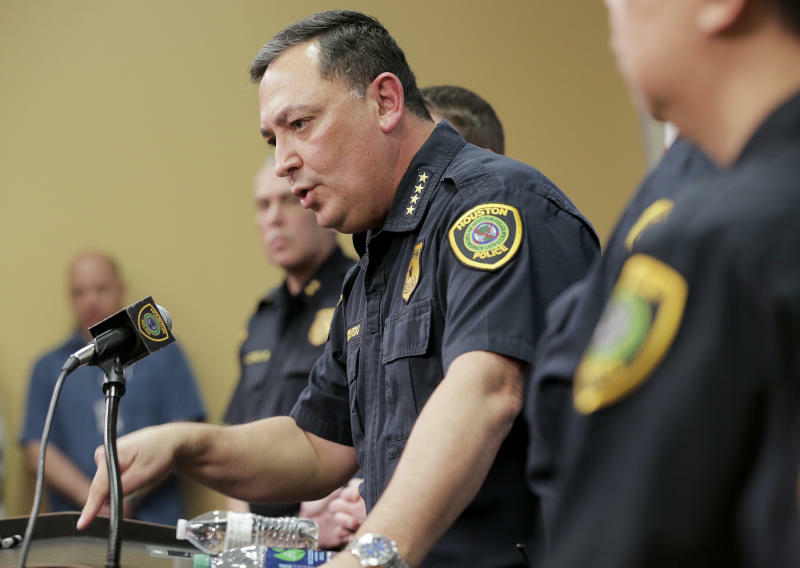 Houston Police Chief Art Acevedo said the ongoing investigation into the drug raid appears to have uncovered "some untruths or lies" in the search warrant. He called this "unacceptable." "When we prepare a document to go into somebody's home ... it has to be truthful, it has to be honest, it has to be absolutely factual," Acevedo said. "So, we know already there's a crime that's been committed. A high probability there will be a criminal charge." Acevedo said his department's investigation has yet to determine what charges Goines could face. Goines, who remains hospitalized, could not immediately be reached for comment Friday. The president of the Houston Police Officers' Union did not immediately return a call seeking comment. In the hours after the raid, Acevedo had praised Goines as being "tough as nails." Acevedo said Goines has been suspended. Another officer involved in the drug raid had previously been suspended. Local community activists have been critical of the raid and neighbors have portrayed Tuttle and Nicholas as a disabled couple who seemed law abiding. The Greater Houston Coalition for Justice was set to hold a town hall meeting about the raid on Monday. "We have 5,200 officers and I would ask that nobody paint our department with a broad brush. ...This is not indicative of the greater work that goes on here," Acevedo said. 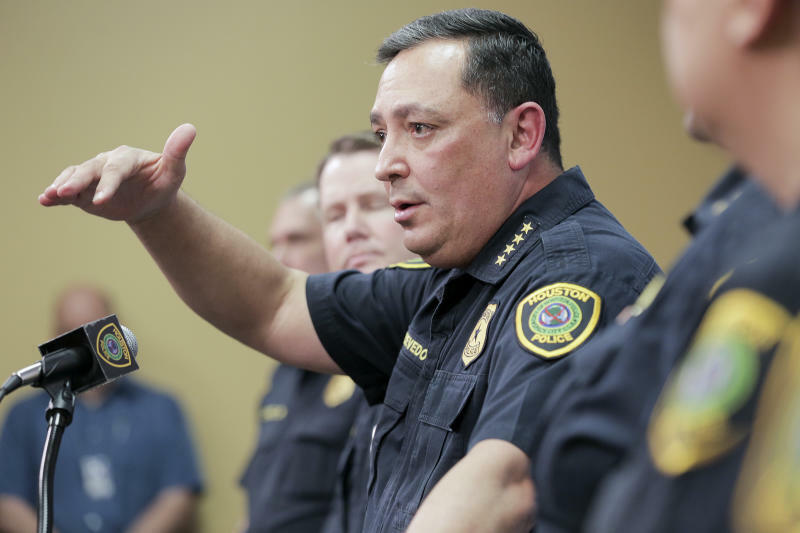 During a news conference, Acevedo repeatedly said the problems related to the search warrant were discovered through the ongoing investigation and his agency is not trying to hide anything. "We're going to get to the truth. We will report back the good, the bad and the ugly," he said.